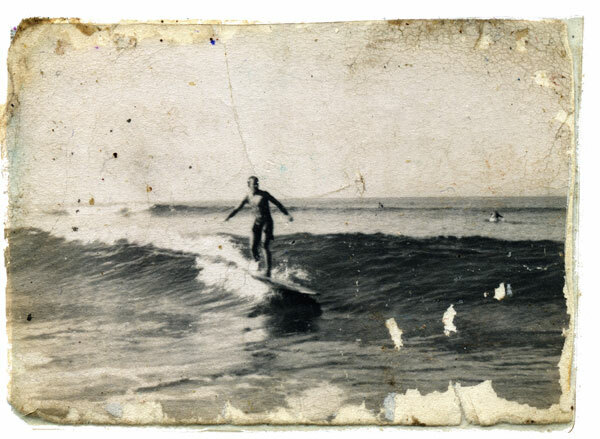 Jim Richards came by for a visit yesterday and happened to have this photo of himself, riding a Hot Curl board at the foot of Newport Street in San Diego, back in 1952. We asked Jim if we could scan the image, and here's the result. Thank you for stopping by Jim.